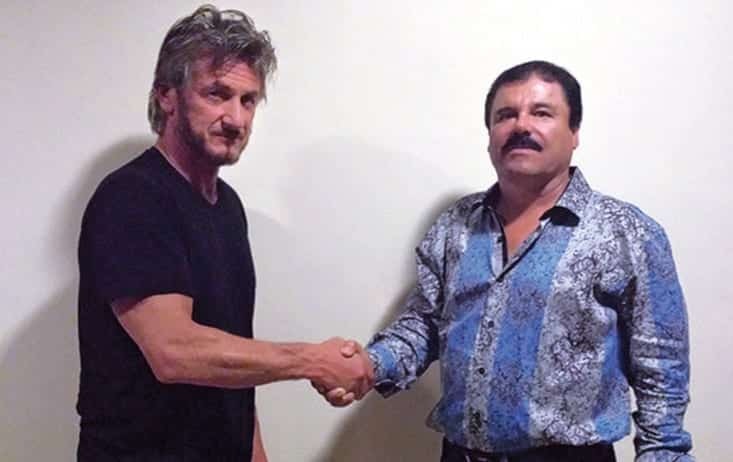 Rolling Stone magazine is reporting that Mexican drug lord Joaquin “El Chapo” Guzman met with U.S. Sean Penn in his hideout in Mexico months before his recapture by Mexican marines in his home state of Sinaloa. In an article published late Saturday in the magazine, and authored by Penn, the actor describes the complicated measures he took to meet the legendary drug lord. He discusses topics ranging from drug trafficking to Middle East politics with Guzman. Guzman was arrested early Friday after a shootout in his home state of Culiacan that killed five and injured one marine. Mexico Attorney General Arely Gomez said Friday that Guzman’s contact with actors and producers for a biopic helped gave law enforcement a new lead on tracking and capturing the world’s most notorious drug kingpin. The official, who spoke Saturday on condition of anonymity, said it was the Penn interview that led authorities to Guzman in a rural part of Durango state in October. They aborted their raid at the time because he was with two women and child. This entry was posted on January 9th 2016 at 11:31pm/23:31 and is filed under Entertainment, Law & Justice, Live News Column 2. You can follow any responses to this entry through the RSS 2.0 feed.